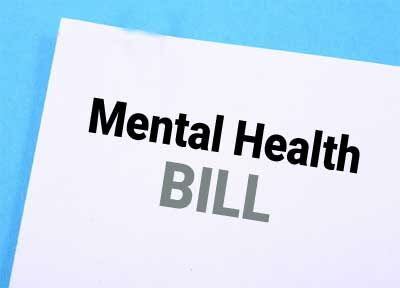 New Delhi: The Lok Sabha was recently seen passing the Mental Healthcare bill 2013 that seeks to decriminalize suicide attempt by mentally ill people and provides for the right to better healthcare for people suffering from mental illness. Every person shall have the right to access mental health care and treatment from services run or funded by the government. The right to access mental health care includes affordable, good quality of and easy access to services. Persons with mental illness also have the right to equality of treatment, protection from inhuman and degrading treatment, free legal services, access to their medical records, and complain regarding deficiencies in provision of mental health care. A mentally-ill person shall have the right to make an advance directive that states how he wants to be treated for the illness during a mental health situation and who his nominated representative shall be. The advance directive has to be certified by a medical practitioner or registered with the Mental Health Board. If a mental health professional/ relative/care-giver does not wish to follow the directive while treating the person, he can make an application to the Mental Health Board to review/alter/cancel the advance directive. These are administrative bodies are required to (a) register, supervise and maintain a register of all mental health establishments,(b) develop quality and service provision norms for such establishments, (c) maintain a register of mental health professionals, (d) train law enforcement officials and mental health professionals on the provisions of the Act, (e) receive complaints about deficiencies in provision of services, and (f) advise the government on matters relating to mental health. Every mental health establishment has to be registered with the relevant Central or State Mental Health Authority. In order to be registered, the establishment has to fulfill various criteria prescribed in the Bill. The Mental Health Review Commission will be a quasi-judicial body that will periodically review the use of and the procedure for making advance directives and advise the government on protection of the rights of mentally ill persons. The Commission shall with the concurrence of the state governments, constitute Mental Health Review Boards in the districts of a state. The Board will have the power to (a) register, review/alter/cancel an advance directive, (b) appoint a nominated representative, (c) adjudicate complaints regarding deficiencies in care and services, (d) receive and decide application from a person with mental illness/his nominated representative/any other interested person against the decision of medical officer or psychiatrists in charge of a mental health establishment. A person who attempts suicide shall be presumed to be suffering from mental illness at that time and will not be punished under the Indian Penal Code. Electro-convulsive therapy is allowed only with the use of muscle relaxants and anaesthesia. The therapy is prohibited for minors.